I’m still here! Were you getting worried about me yet? Thanks to a leak through our kitchen ceiling that prompted us a brief stay at the Hotel de In-Laws and millions of papers that didn’t grade themselves over my break, 2017 has been off to a MUCH busier (and stressful) start than I’d hoped. I’m actually planning to block out this week and next entirely from my calendar and actually “start fresh” after my semester grades are turned in (and our kitchen ceiling is patched) in a few weeks. I have lots of “drafts” and things I *want* to share here, but we’ll see what actually makes it to the blog between now and then. Thanks for your patience! This was probably one of the most talked about books of 2016, and for good reason… Written by 32 year-old J.D. 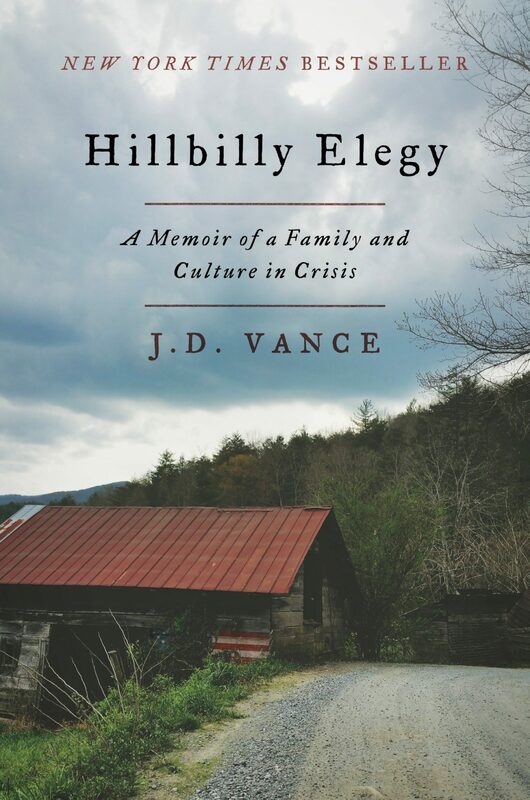 Vance – who grew up in the poor mountains of Appalachia and went on to, eventually, graduate from Yale Law School and live/work in San Francisco – this book received a lot of attention back in November after The New York Times called it “one of 6 books to help understand Trump’s win.” I, admittedly, was intrigued by that label; but, largely because of it, really expected a political book of sorts… In reality, only a tiny bit of this book touches on politics and policy; and I was pleasantly surprised to find, instead, a powerful memoir in the vein of Jeanette Walls The Glass Castle. Vance is a great storyteller, and he doesn’t hold back in discussing his family’s (and those around him) struggles with poverty, abuse, alcoholism, etc. The story is funny, insightful, and both profoundly sad and hopeful at the same time. All said, I liked this book enough and found it important enough to consider actually teaching it next year in my AP eleventh grade class; and, for sure, I’d call it one of my “favorites” of the year. *Jeff and I bought this book in hardcover, but I ended up listening to it on audio and highly recommend that method – though there is a good bit of language and “mature content” so don’t listen around little ears – because the author reads it. This book had been on my “to read” list for a while, and I’d heard lots of people rave about how great it was, so when it was on super Kindle/Whispersync audio deal last month, I grabbed it! 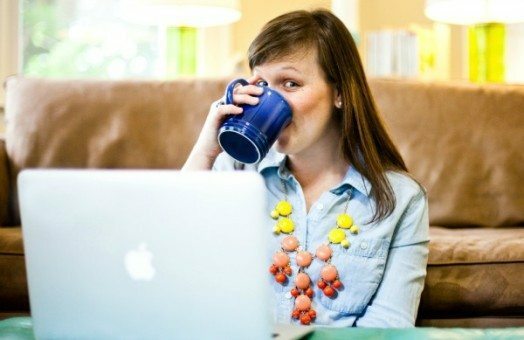 It is the type of book I really enjoy – well researched with plenty of stories and personal accounts to keep it from being too technical – and the message was something I REALLY resonated with from my first year or so as a mom… Basically, the autonomy that individuals give up when they have children. Without getting super personal in a book review, I struggled A LOT with that exact thing after Sam was born, but I didn’t really have the words to express it, and it wasn’t something I had read/heard in all the parenting books I’d been reading. Since Jeff and I were the first of our friends to have kids, I think we experienced this even more acutely because our peers were still “living it up” with complete freedom over their time/money/energy/etc. 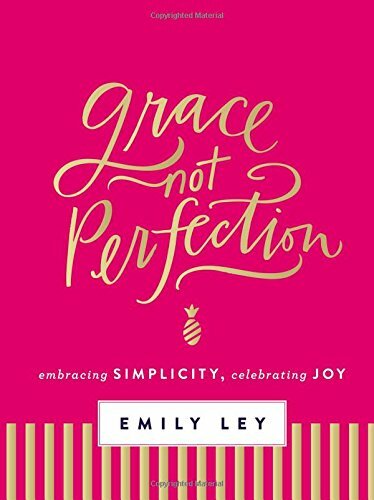 Of ALL the books I read when I was a new mom, I *wish* I had read this one – I think it would have offered a lot of insight into some of the feelings I was having and – more importantly – given me some reassurance that I was “normal,” and helped me to express some of my experience. All that said, I didn’t *love* this book as much as I thought I would at this stage in my parenting journey – perhaps because I feel like I’ve lived it and reached this conclusion already on my own over the last five years. I don’t mourn that autonomy the way I used to, and I FULLY recognize the joy that is the reward of its surrender. So, in short, I liked this book because I think what it has to say is VERY true and VERY important; but, I didn’t connect with it the way I think I would have a few years ago. 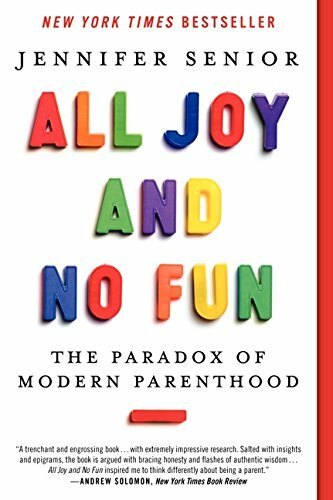 This is a book I STRONGLY recommend for new(ish) parents – especially those that are kind-of “blazing the trail of parenthood” among their friends – and/or anyone who is struggling to express their simultaneous mourning of their pre-kid life AND the absolute adoration of their kids. Jodi Picoult has been one of my favorite writers since I first read My Sister’s Keeper in college, but I took a short break from her books when I felt like she was just “cranking them out” a few years ago, and Small Great Things was the first I’d read in awhile… It was worth the wait – she knocked it out of the park with this one. I actually bought the hardcover paper-copy (something I don’t do often) and read all 400 and some pages in a little less than two weeks. Without question, it was my favorite read of 2016 and a great way to end my reading year. I don’t want to give too much away, but the plot follows a black labor and delivery nurse who is faced with serious legal charges after the baby of white supremacist parents dies under her care. True to Picoult’s style, the book is incredibly well researched and does an excellent job of incorporating medical, legal, and moral/ethical issues into a story with well-developed characters. 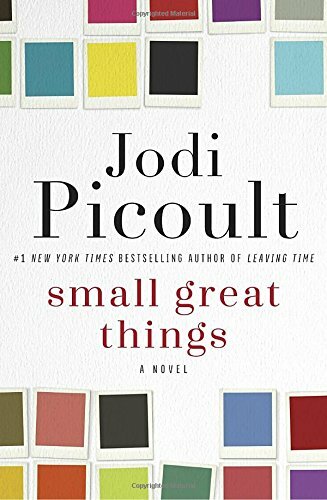 Perhaps even more than usual in this book, I thought Picoult tackled a very touchy subject – mainly, racism – that she has little personal experience with – extremely well. It is evident that she devoted a lot of time and attention to interviewing and really getting to know the people on both sides of this story. Most importantly, for me at least, she made *me* think and re-evaluate my own prejudices in a way that was both subtle and powerful; which, according to her Epilogue, was really her biggest hope in writing the book all along. Haha! What a funny book this is – especially following the last one… This was a last minute addition to my list after I saw on MMD (if you aren’t following her daily Kindle Deals, you are MISSING OUT) that it was on sale for only $1.99 + $2.99 audio. 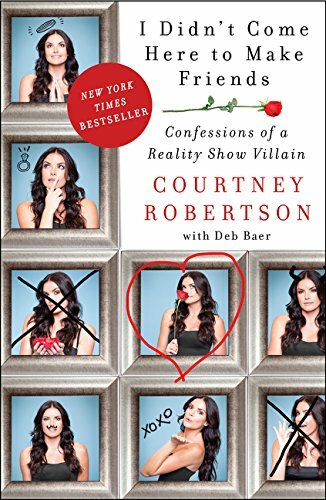 As a loyal Bachelor fan, I’ve had a vague interest in Courtney’s book (who won Ben Flajnik”s season in 2011) ever since it came out a couple of years ago; but the price – combined with my excitement over the upcoming season (which started Monday, btw) pushed me to finally read/listen to it. This book is VERY dishy on all things #bachelornation. In addition to telling some of her back story and the start of her modeling career (with Abercrombie and Fitch during the controversial early 2000s, which I found pretty interesting), Courtney talks ALL about the process of applying, being chosen for, going on; and, ultimately, winning The Bachelor. It was fascinating, and I totally felt like an insider when I watched the season premiere this past week. It’s kind-of like one giant gossip magazine on the entire Bachelor franchise/ UnREAL in real life. On the negative side, it is quite R-rated, and – frankly – Courtney didn’t make me like her any more than I did after initially watching her as the “villain” on the show in the book… She pretty much throws EVERYONE under the bus – Ben, the other contestants on her season, past Bachelors/Bachelorettes and contestants, etc. I can’t even imagine how many people she upset by spilling their secrets in these pages! It is definitely a TELL ALL. And there you have it… What have you read lately?!?! Any thoughts or comments on the above books? Please share! Great reviews!! I always love Jodi, so I will have to check that one out! I’ve been reading a ton lately, but last night I finished the BEST book- The Girl You Left Behind, by Jojo Moyes (same author as Me Before You). It was SO good- half of the book takes place in WWI German-occupied France, half takes place in modern London, but the storylines merge together and it is just AWESOME. Maybe just because I’m super into WWI and WWII occupation books lately, haha. But anyway. I recommend! I have been on my library’s hold list for that Jodi Picolt book forever! I want the digital copy for my kindle, so my wait continues. I read like crazy over break too! Dark Matter by Blake Crouch was amazing! Not my usual genre but I couldn’t put it down. The Nightingale by Kristin Hannah was good but so heavy. I thought Me Before You was a little fluffy. I think knowing the ending took something away from that one. I also finished Smarter Faster Better by Charles Duhigg. He has so many ideas about productivity it’s hard to know where to start. I always look forward to and love these reviews! I’ve already bought 2 for my kindle! Great to hear from you! Sorry about your ceiling woes and hope that all comes together quickly. I loved reading your reviews and am especially interested in the Emily Ley book and Hillbilly Elegy. (I LOVED Glass Castle, so that of course grabbed my attention. I also heard a snippet of an interview with the author on NPR that was intriguing.) I think I would enjoy All Joy and No Fun too – that might be a good library read. I LOVE that Sam is such a reader (yes, audiobooks count) and Roald Dahl is awesome. My little one (14 months) has such a short attention span for books right now and it makes me so impatient and frustrated since she almost never wants to finish even a little picture book with me. She loves to pick up and play with books but not to sit and listen for long… I am hoping as she gets older, she will settle down a little more so it’s enjoyable for the both of us.